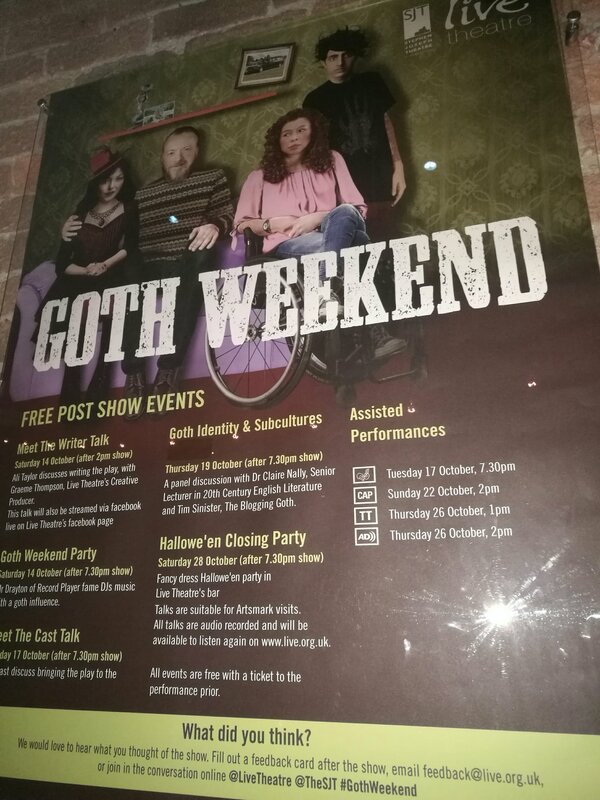 Firstly I must thank the staff of Live Theatre for their generous invite to come and watch Goth Weekend, a clever comedy about a family in the North split down subcultural lines! Following the performance on October 19th, I’ll be joining Dr Claire Nally of Northumbria University for a discussion and Q&A about the goth subculture, so please do join us. It should be recorded and made available online after. I’d strongly recommend seeing this funny and touching performance. 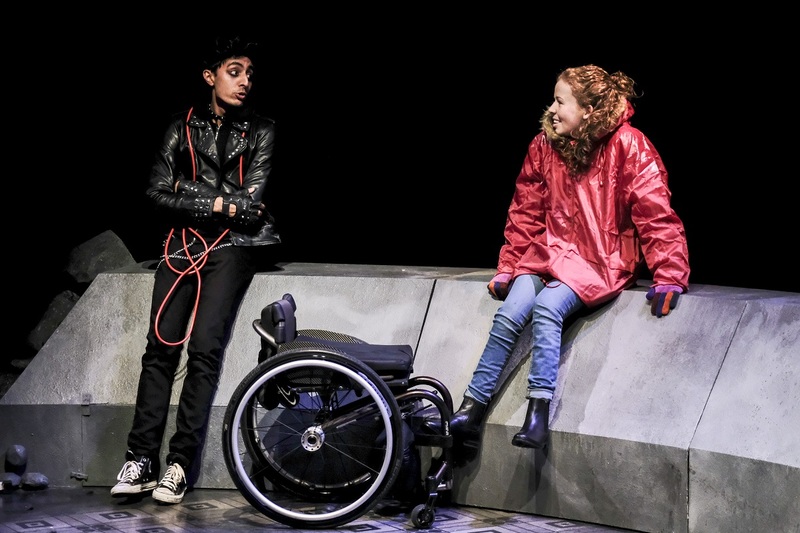 Writer Ali Taylor has really done his research – I chatted with him and director Paul Robinson in the interval of last night’s performance. They spoke in the familiar tones of wonder people have when they visit Whitby for the first time, of the friendly and fashion-conscious Goths propping up the bars and stalls around this normally quiet seaside town. Ali came away and wrote a play that references all the right bands (i.e. those that started in the Eighties!) and even puts a finger on the sore spot of Whitby Goth Weekend, the clash between (black) dyed-in-the-wool, elitist-than-thou goths and ‘costume dressers’, those weekend warriors who don their corsets and toppers just two weekends a year. Into this category squarely falls naïve but positive Ken (Sean McKenzie), widower and plumber fascinated by anything new (or noir!) 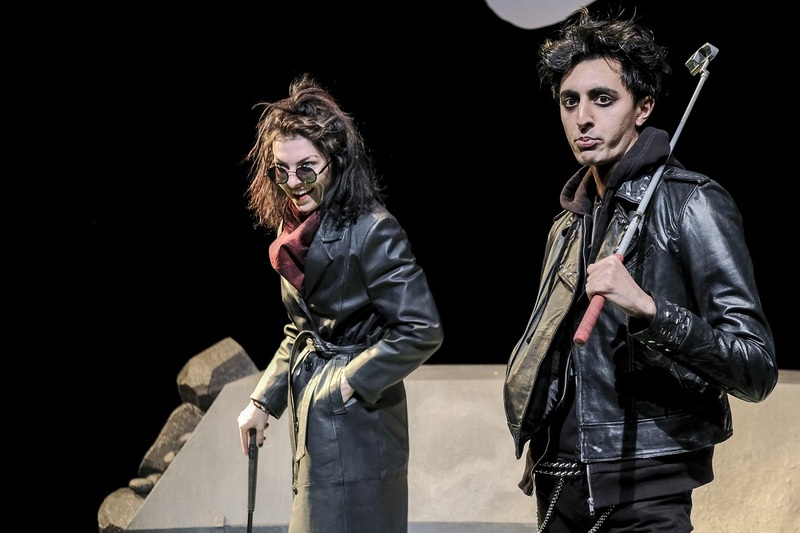 He’s swept off his feet by boisterous Geordie Belinda (Jessica Johnson) who reminded me of more than a few Northern goths I have known, and I thoroughly enjoyed her portrayal. Not for her the wilting rose of a Desdemona, Belinda channels more of a Siouxise-style punk, necking pints and chasing chavs with a golf club! Ken’s daughter Anna (Amy Trigg) is the wise-beyond-her-years primary protagonist, smart and sassy in the face of mounting challenges and convinced she knows what’s best for her Dad and her little family. It is Anna’s journey of grudging acceptance, sharing of similarities and lowering of defences is what this kooky family joins her on. Thankfully, this doesn’t involve anyone being ‘saved’ from goth, a common and tired trope of ugly-ducking stories throughout fiction. 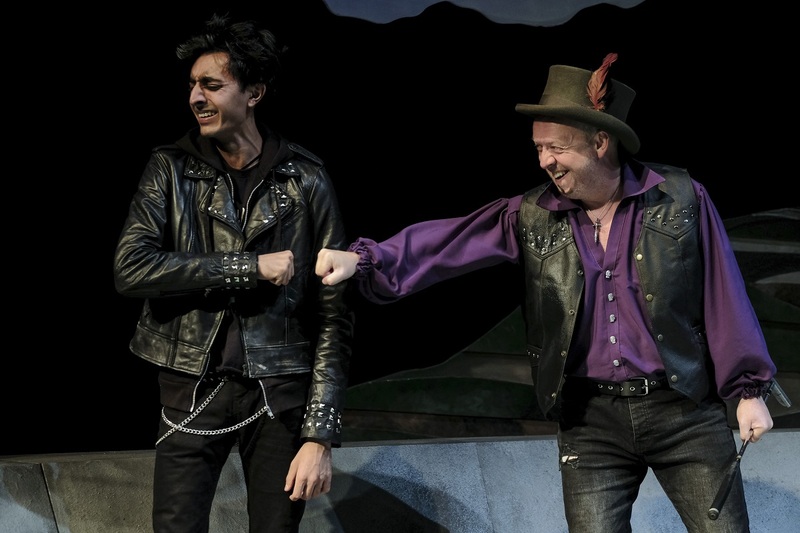 For me the stand-out performance was by Gurjeet Singh in the role of Belinda’s son Bram – also known as, er, Simon! A very smart and very conflicted young man, his own path is a complex and difficult one and Singh expertly delivers a range of emotions and perspectives that really dominates the show. The scenes are linked by a classic soundtrack of well-curated goth hits, and the sets are complex and gorgeously-designed. The Goth Weekend itself is really a background event, but I was delighted by their representation of the Pavilion – beating black heart of the Weekend – with just a homely chalkboard advertising modest grub; pie and a pint for £5! It represents perfectly the layers we weave about ourselves – sarcasm and internet dating to shield us from grief and loneliness, heavy eyeliner and lacklustre gigs in pub back rooms to protect us from abandonment and envy. “It’s not a costume, it’s an outfit!” Belinda corrects someone angrily, but underneath either our weekend dress-up or our life-long black wardrobe, we’re all people looking for love and comfort. Goth Weekend is a canny comedy with a gentle tone that I thoroughly enjoyed; sometimes it’s cringe-inducing, other times it seems like it’s racing too fast to cram everything in – but overall it’s a unique, amusing and very faithful production. This entry was posted in Uncategorized and tagged event, mainstream, media, non-goth, play, PR, review, speaking, Whitby Goth Weekend. Bookmark the permalink.